this sauce is divine. I use it for creamy scallop nigiri and BBQ hotate nigiri and I’m planning on using it on grilled albacore. *you can also substitute a combination of franks red hot sauce and sweet chili oil or sauce. I’m obsessed with sushi, I mean seriously OBSESSED! I could eat it almost every day. 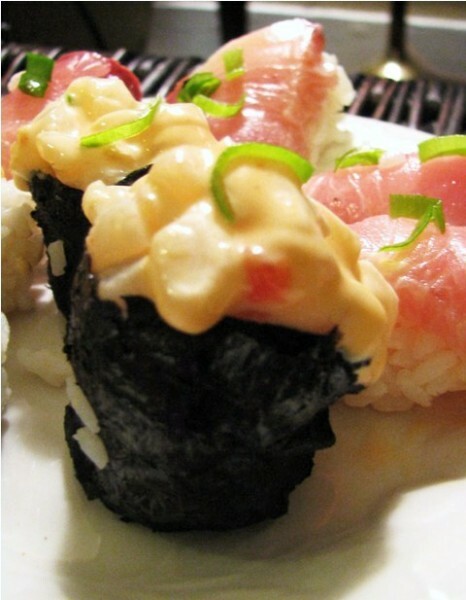 There is an art to making sushi, but it’s fairly simple to make a yummy bowl to enjoy at home. 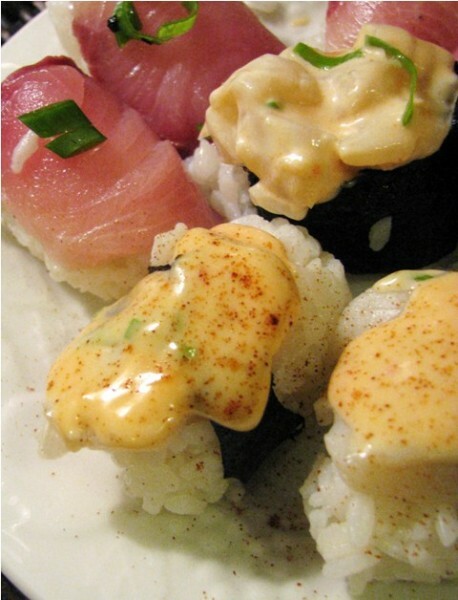 If you are using raw fish make sure it’s extremely fresh, and should NOT smell like fish, but like the sea. This is a single serving…because I’m the only sushi aficionado in the home.